Pennsylvania Railroad Pioneer III & Silverliner II mod for Transport Fever. The Pioneer III and Silverliner II were two closely-related Budd-designed multiple unit cars. The Pioneer III was derived from a demonstrator lightweight passenger car which Budd had unsuccessfully attempted to market to various railroads. The Pennsylvania Railroad added a pantograph and traction motors, and ordered six of what became the “MP85” class. These proved unsuccessful in their intended role as intercity multiple units — the cars rattled and bumped at high speed due to their light weight, and were soon relegated to commuter service. The Silverliner II was derived from the Pioneer III design, expressly built for commuter service. With 2 + 3 seating, it proved immensely successful on the PRR’s Philadelphia suburban lines, only being retired in 2013. 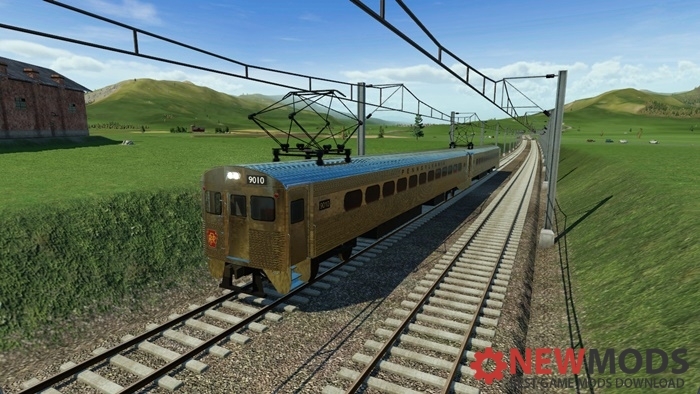 This pack includes the Pioneer III in PRR livery, and the Silverliner II in PRR and SEPTA livery. Additional features: Shiny and chrome!